In case of illness, dietology as well as TCM always recommend a special diet. 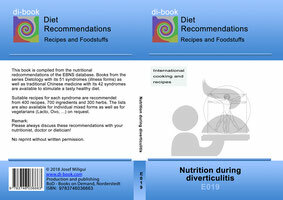 The dietary recommendations are developed according to the rules of dietology (51 books) and TCM (54 books). Motivating books with nutritional recommendations to support a prescribed regimen of beneficial nutrition. 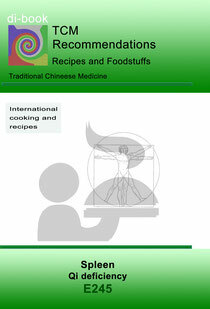 There are 51 books available for the various disease forms of dietology and 54 for TCM. For 6 cancers, the diet can support the affected organ and make the therapy more successful. If you cook food in TCM in the order of the elements, most of the ingredients will display that item. Over 3000 years of experience, especially in chronic diseases, are the basis. The therapies are often started on a previous organ in the regulatory circuit to strengthen the affected organ. My German website for cancer patients, relatives and medical professionals.